Alex Chernomazov and Ella Malamud talk to host Craig Price about their new kickstarter project Greenspark, an interactive sustainability park. Sustainability isn’t just a buzzword. It should be something we strive to do everyday, not just in business terms but in human terms. Alex and Ella have created a new park dedicated to getting people to experience all aspects of sustainable living — renewable energy, green building, and pollution-free transportation — in one place. Richard Zimmerman of Orangutan Outreach (@redapes on twitter) talks with host Craig Price about orangutan rehabilitation. As any listener or follower of the podcast knows, Craig is a huge supporter of orangutans and Orangutan Outreach. He even goes so far as to sell calendars to raise money for them each year. Due to the massive fires that have devastated much of the orangutan’s habitat in Indonesia, many of the rescue centers Richard and Orangutan Outreach support are being flooded with survivors, specifically abandoned or orphaned orangutan babies. So much so that they need to add additional housing and facilities as quickly as they can. One partner in particular The Borneo Orangutan Survival (BOS) Nyaru Menteng Orangutan Rescue Center is in dire need so Richard is raising money for a new baby house! Craig and Richard discuss the fires, the current situation on the ground but more importantly, the two go over what happens to the orphaned babies who are put through orangutan rehabilitation, how they go through Baby School and Forest School learning how to be wild orangutans and are eventually released into better, more protected habitats away from people. Once you hear the plight of these wonderful animals, you won’t be able to ignore what’s going on in their native home. 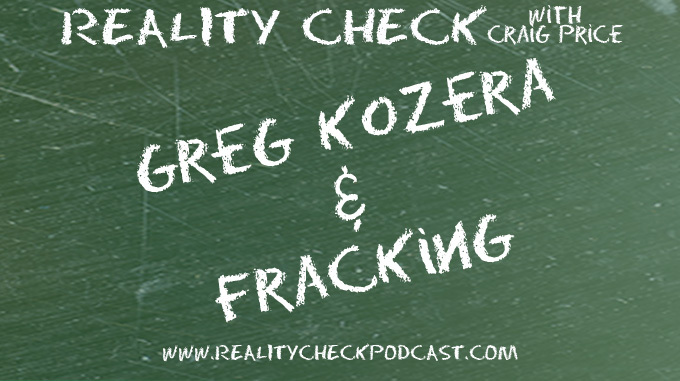 Greg Kozera joins Craig to discuss his new book “Just the Fracks, Ma’am: The TRUTH about Hydrofracking and the Next Great American Boom”. While this topic has recently become controversial, it’s actually been a process in use for quite a while. Greg answers Craig’s questions on water safety, earthquakes and reminds everyone to not take everything you hear at face value…including modern day documentaries.